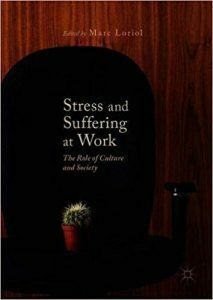 This edited collection explores different strands of social constructionist theory and methods to provide a critique of the prevailing discourse of work stress, and introduces a radical new approach to conceptualizing suffering at work. Over the last three decades, stress and other forms of suffering at work (including burn-out, bullying, and issues relating to work-life balance) have emerged as important social and medical problems in Western countries. However, stress is a contested category, not (as many argue) a well-defined clinical, biological and psychological state that affects people in the same way in different cultures and at different times. But researches gathered in this book show how perception of stressors and stress processes is embedded both in macro-social and micro-social contexts. These context frame actors’ strategies created and actors construct the situations: in that way, stress and suffering at work can be understood as the result of management practices, labour union strategies, the innovative theories of psychologists or doctors, news magazine articles, public health policies and so on. Thus, a social constructionist perspective helps to shed light on new approaches to prevention and interventions of work stress. The variety of ways for dealing with stress and suffering at work indicates that there is no single recipe or prescription to fit the many diverse settings and professional contexts in which these problems arise. Marc Loriol is Researcher (CNRS) at the laboratory of the Institutions et Dynamiques Historiques de l’Économie et de la Société (IDHE.S) at Panthéon-Sorbonne University, France. ← Appel à communications – Colloque Gestes 2019 : Dé-libérer le travail ?